The clashing of swords, the ring of steel on steel, the beat of boots upon the ground as the screams of battle rage…all create a rush of adrenaline within one’s soul. 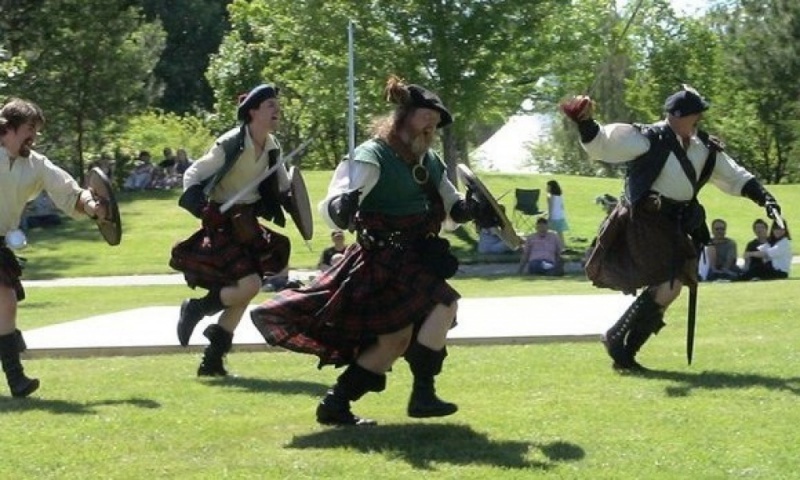 Men in kilts with the colors of their plaids flashing about as they engage in the deadly dance of the broadsword fighting that fills a man’s heart with chivalry and a woman’s head with the fancies of romance. The art of swordsmanship has been a fascination for every generation for the last millennium. A skilled display of ancient combat captivates and entertains audiences like nothing else. We are the Wolves of Dunvegan: the fighting element of the Renaissance Scots Living History Association. We demonstrate the European Sword arts of the medieval, renaissance and 17th century. You might see everything from fast and furious basket-hilt swordfights, elegant and graceful rapier duels to melee fights that have the power to keep you on the edge of your seat. We perform weapons demonstrations as well, in which we educate the public on the true history of swordsmanship and dispel many of the myths that Hollywood has created. Using our arsenal of rapiers, broadswords, claymores and other forms of assorted weaponry, we demonstrate the more practical application of these sophisticated instruments. You may discover it is a much different state of affairs than the misconceptions of romantic swashbuckling. In addition to performing choreographed fights, we engage in real combat using modified shinai (bamboo weaponry). 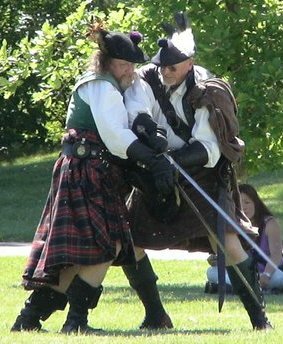 At festivals, we are able to teach patrons the proper use of a blade and give lessons in realistic combat with these practice weapons. We are always looking for new recruits and are happy to share our knowledge.